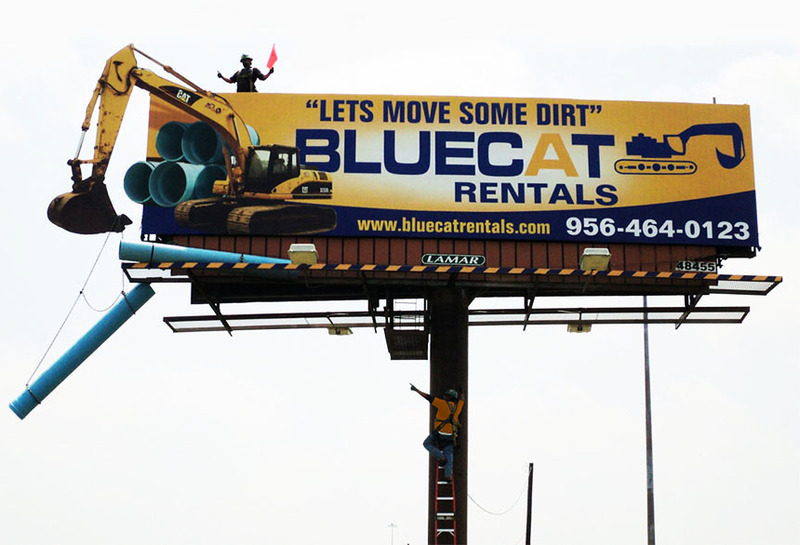 Bluecat Rentals utilized 3D extensions, mannequins, ladders, and PVC pipe in their elaborate bulletin billboard that ran in Donna. TX. Lamar was able to help Bluecat create a striking advertisement that stimulated a significant buzz in the area.